Fits 1.75 To 2.5 Pipes. 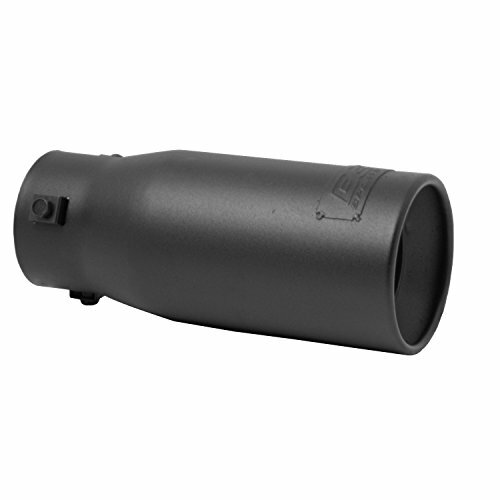 DynoMax Race Bullet mufflers feature 100-percent welded construction for lifelong durability. The 'Pure Unadulterated POWER' and lightweight, compact design make it the ultimate race muffler. The unrestricted, straight-through design is dyno tested and track proven. Each muffler uses our exclusive Continuous Roving Fiberglass (CRF) Technology which helps provide up to a 4 dbA sound reduction, on most race applications, while maintaining a deep race tone. 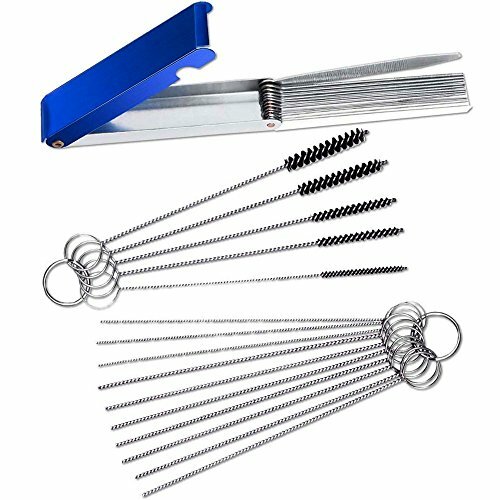 DynoMax Ultra Flo Welded performance stainless steel mufflers feature 100-percent welded construction for lifelong durability. The unrestricted, straight-through design dyno proven to flow up to 2,000 SCFM and support up to 2,000 horsepower. 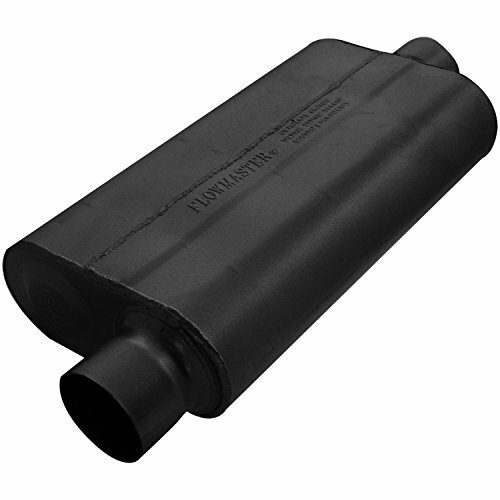 Each muffler uses our exclusive Continuous Roving Fiberglass (CRF) Technology to absorb unwanted interior resonance while maintaining a deep performance tone. 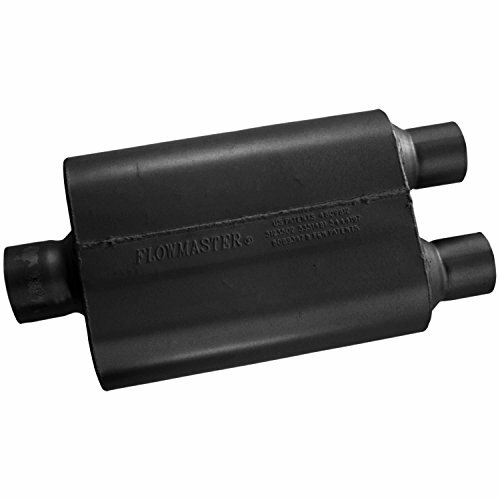 The 'Pure Unadulterated POWER' of DynoMax Ultra Flo Welded mufflers are backed by a Limited Lifetime Warranty and exclusive 90-Day Performance & Sound Guarantee. All Dynomax Performance Exhaust Systems bolt on for easy installation. 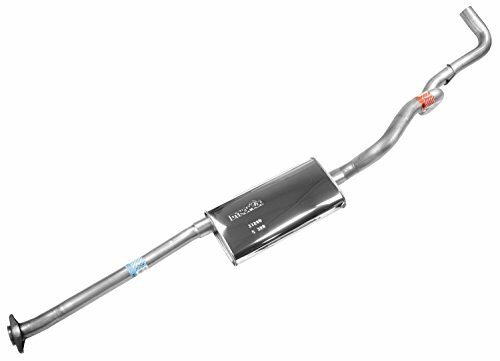 Your vehicle's complete exhaust can be quickly and easily customized with an emissions-legal premium performance system from Dynomax. Not only does the DC Sports Exhaust Tip add a sweet spot to the appearance of your vehicle, it also gives it a resonating growl at higher RPMs. 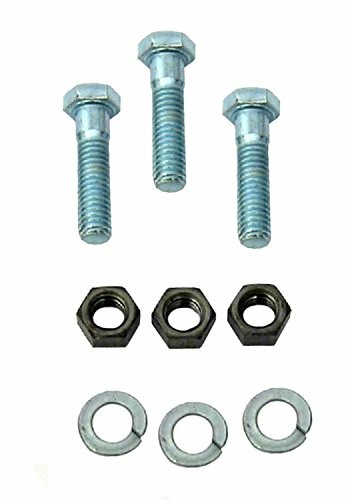 The polished, stainless steel tip bolts on in minutes and requires only a 10mm socket or wrench for installation. 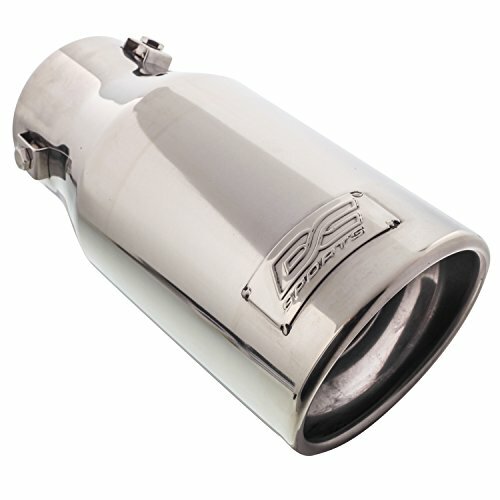 Vibrant 3" Ultra Quiet Resonator is designed to dampen exhaust noise and facilitate undisrupted exhaust flow. It is constructed from T304 Stainless steel and features a "True Straight Through" perforated core surrounded by sound absorption materials. 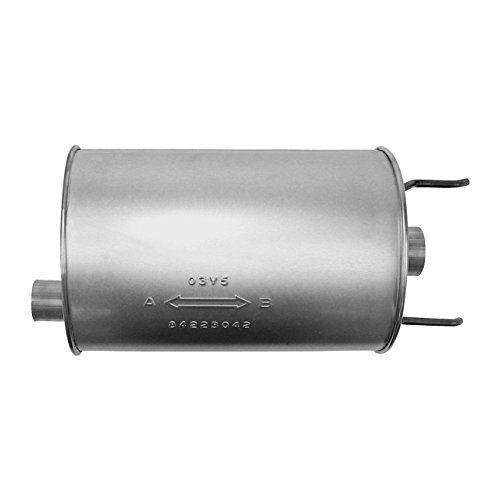 This highly durable resonator can withstand high exhaust temperature and is Five year limited warranty. Vibrant 2.5" Ultra Quiet Resonator is designed to dampen exhaust noise and facilitate undisrupted exhaust flow. It is constructed from T304 Stainless steel and features a "True Straight Through" perforated core surrounded by sound absorption materials. 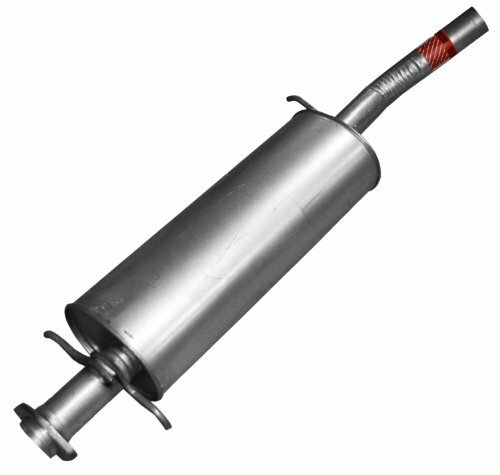 This highly durable resonator can withstand high exhaust temperature and is Five year limited warranty. 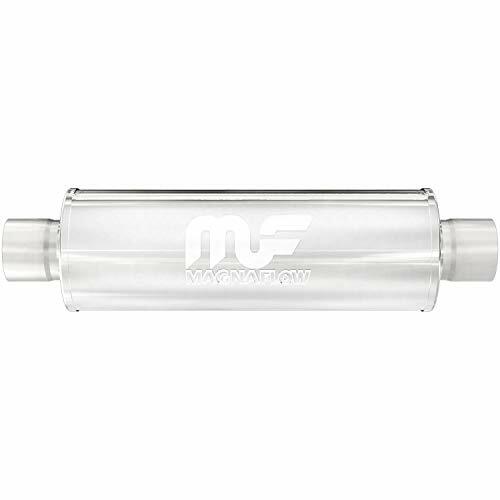 Vibrant Bottle Style Resonator is designed to dampen exhaust noise and facilitate undisrupted exhaust flow. It is constructed from T304 Stainless steel and features a "True Straight Through" perforated core surrounded by sound absorption materials. 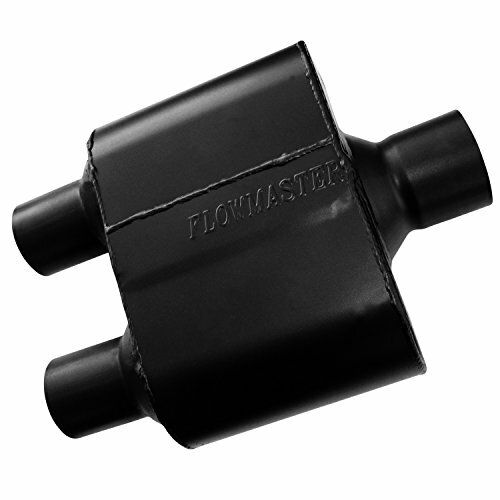 This highly durable resonator can withstand high exhaust temperature and is Five year limited warranty. 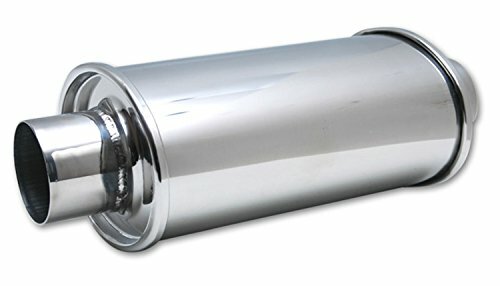 The Pure Unadulterated POWER of DynoMax Super Turbo mufflers are backed by a Limited Lifetime Warranty and exclusive 90-Day Performance & Sound Guarantee. Highest Quality Materials. Computerized Precision. 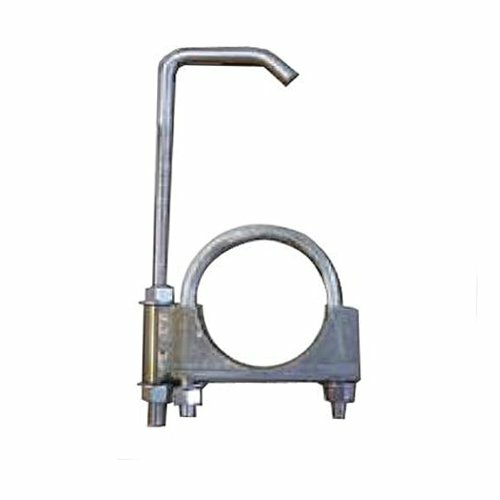 Hand Tested; Sturdy Leak Proof Welds. Durable And Affordable. DynoMax Performance Exhaust is a leading brand of dyno-proven exhaust products for muscle cars, pass cars, diesel and gas trucks, Jeeps and sport utility vehicles. 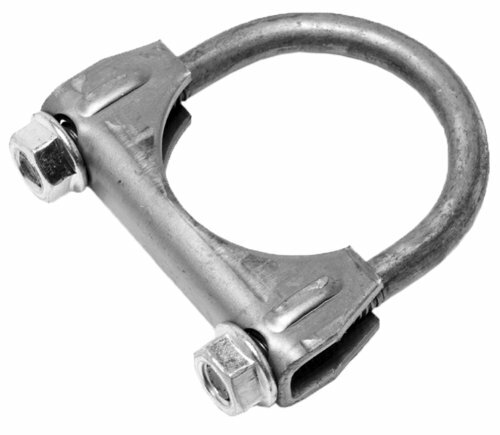 Durable Fully Welded 16ga Stainless Steel. Limited Lifetime . Loudest Most Aggressive Sound. Recommended For Off Highway Use. Patented Data Flow Technology. Premium Flow master Quality. Universal single chamber Race street Muffler 2. 50" Center In / 2. 50" Center Out. CHECK PRODUCT DETAILS CHART BELOW FOR OTHER SIZES. Universal Muffler -not a direct fit. Some adaptation required. Warranty: One (1) Year Limited Warranty for parts purchased from authorized dealers ONLY, for list of authorized dealers please check the manufacture website: TOTALFLOW warrants the products mentioned above against defects in materials and workmanship for the period set forth below, when they are owned by the original purchaser and remain installed on the vehicle on which they were originally installed. 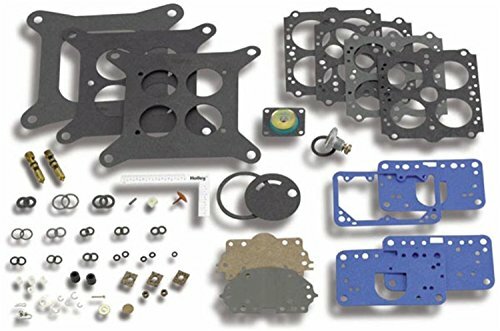 This warranty is void if the product was not installed properly on the vehicle, was installed on a vehicle for which it was not designed, or was removed from the vehicle on which it was originally installed and reinstalled on another vehicle. This warranty shall not apply to normal wear, including interior/exterior sound levels, cosmetic issues such as coatings and material discoloration, any product that was installed on a racing vehicle, installed improperly or contrary to TOTALFLOW instructions, altered, misused, repaired, damaged from an accident, collision, undercarriage road impact or debris, or willful or negligent act. Note that all "straight-through" mufflers which use sound absorbing material inside the muffler to cancel sound, will degrade over time. This degradation of sound absorbing materials is considered "normal wear". not a material defect. Parts must registered on TOTALFLOW website along with copy of the receipt " A proof of purchase". 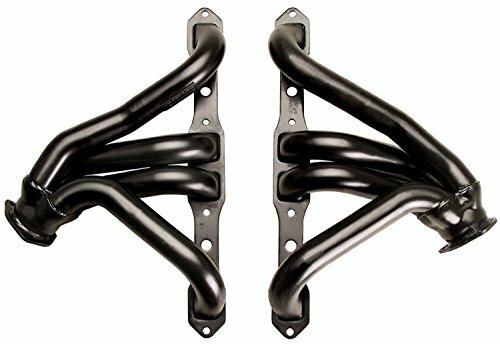 TOTALFLOW 44264 Straight Through Deep Tone Performance Muffler - 18" Body Length / 24" OAL - Oval 5" x 8"- 3" Offset / 3" Offset"Reversible/Bi-Directional"
TOTALFLOW 44264 straight through deep tone performance muffler - 18" body length/ 24" OAL - oval 5" x 8"- 3" offset/ 3" offset "reversible/bi-directional"
18" straight through deep tone performance Muffler, oval 5" x 8" - 3" offset/ 3" offset "reversible/ bi-directional". check product details below for other sizes. 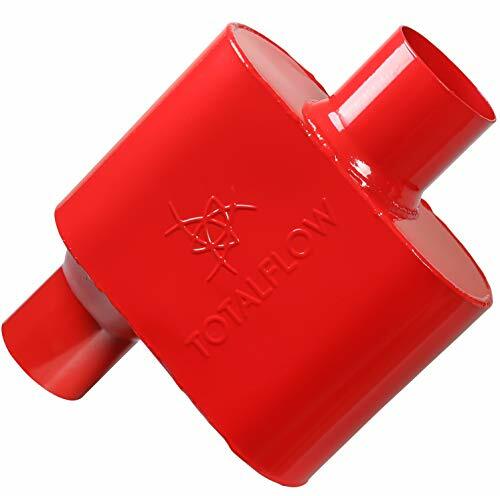 TOTALFLOW 342515-2 premium quality single chamber universal race muffler - 2. 50" in/2. 25" dual out (aluminized steel/red). Universal single chamber Race street Muffler 2. 50" Center In / 2. 25" Dual Out. CHECK PRODUCT DETAILS CHART BELOW FOR OTHER SIZES. Warranty: One (1) Year Limited Warranty for parts purchased from authorized dealers ONLY, for list of authorized dealers please check the manufacture website: TOTALFLOW warrants the products mentioned above against defects in materials and workmanship for the period set forth below, when they are owned by the original purchaser and remain installed on the vehicle on which they were originally installed. 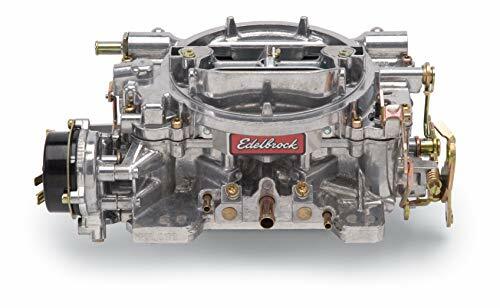 This warranty is void if the product was not installed properly on the vehicle, was installed on a vehicle for which it was not designed, or was removed from the vehicle on which it was originally installed and reinstalled on another vehicle. This warranty shall not apply to normal wear, including interior/exterior sound levels, cosmetic issues such as coatings and material discoloration, any product that was installed on a racing vehicle, installed improperly or contrary to TOTALFLOW instructions, altered, misused, repaired, damaged from an accident, collision, undercarriage road impact or debris, or willful or negligent act. Note that all "straight-through" mufflers which use sound absorbing material inside the muffler to cancel sound.will degrade over time. This degradation of sound absorbing materials is considered "normal wear".not a material defect. 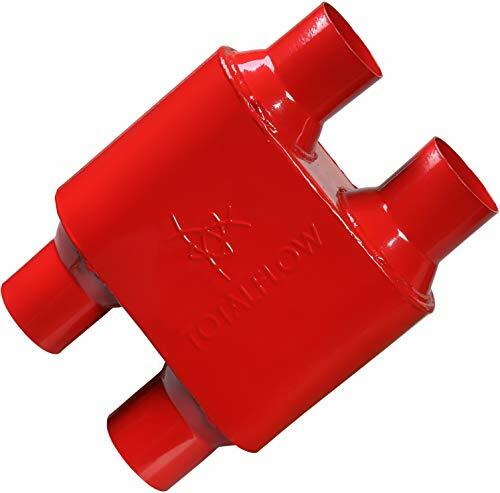 Parts must registered on TOTALFLOW website along with copy of the receipt " A proof of purchase". 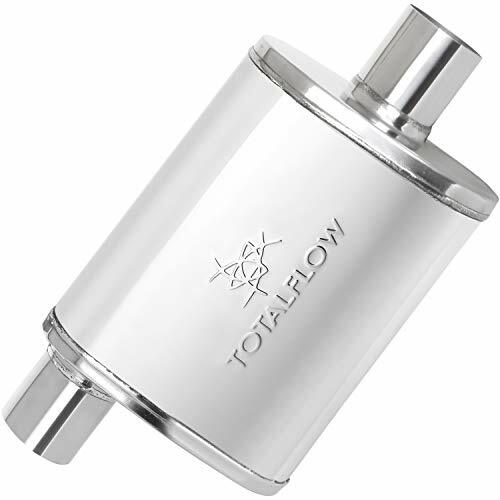 TOTALFLOW 44235 Straight Through Deep Tone Performance Muffler - 14" Body Length / 20" OAL - Oval 5" x 8"- 2.25" Offset / 2.25" Offset"Reversible/Bi-Directional"
TOTALFLOW 44235 straight through deep tone performance muffler - 14" body length/ 20" OAL - oval 5" x 8"- 2. 25" offset/ 2. 25" offset "reversible/bi-directional"
14" straight through deep tone performance Muffler, oval 5" x 8" - 2. 25" offset/ 2. 25" offset "reversible/ bi-directional". check product details below for other sizes. 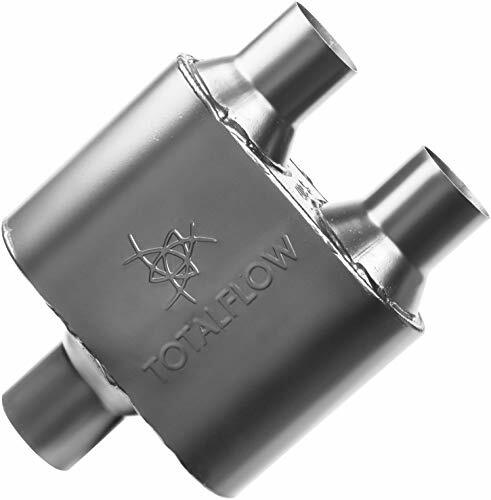 TOTALFLOW 343015 Single Chamber Universal 3" Muffler - 3" Center IN / 3" Center OUT. 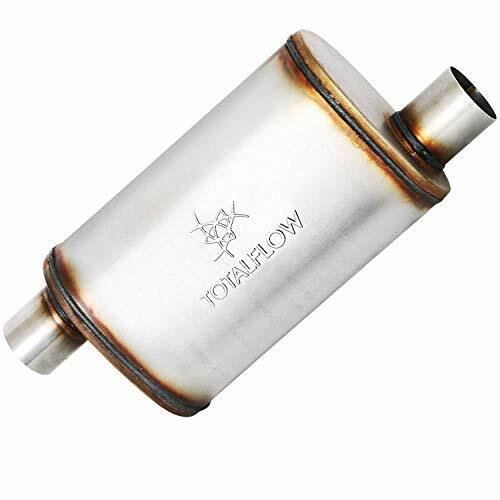 TOTALFLOW 343015 premium quality single chamber universal race muffler - 3. 00" in/3. 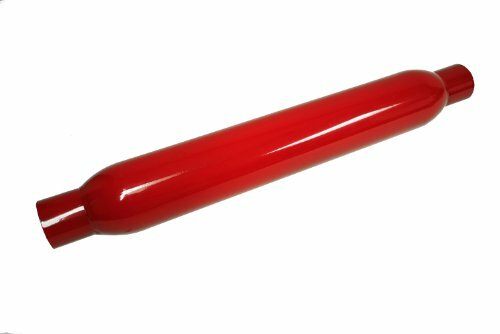 00" center out (aluminized steel/red). 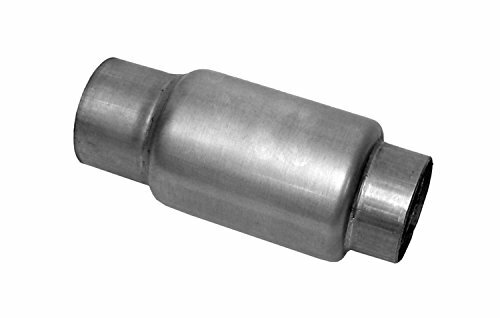 Universal single chamber Race street Muffler 3. 00" In / 3. 00" Center Out. CHECK PRODUCT DETAILS CHART BELOW FOR OTHER SIZES. 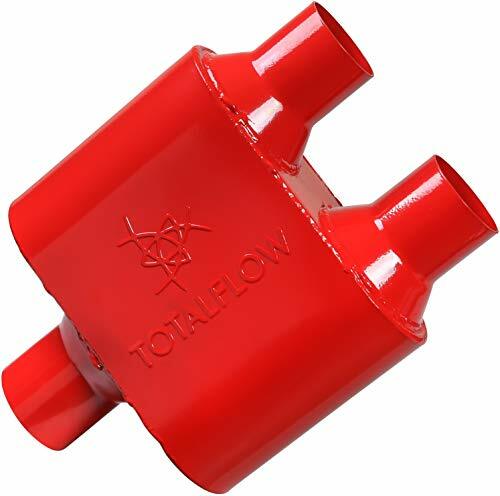 TOTALFLOW 442015-2 Premium Quality Single Chamber Universal Race Muffler - 3. 00" Center in/2. 50" Dual Out (409 Stainless/Black). Universal single chamber Race street Muffler 3. 00" Center In / 2. 50" Dual Out. CHECK PRODUCT DETAILS CHART BELOW FOR OTHER SIZES. 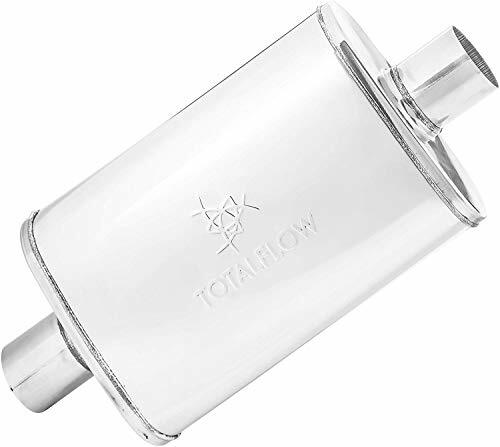 TOTALFLOW 33214 Straight Through Deep Tone Performance Muffler - 14" Body Length / 20" OAL - Oval 4" x 9"- 2" Center / 2" Center"Reversible/Bi-Directional"
TOTALFLOW 33214 straight through deep tone performance muffler - 14" body length/ 20" OAL - oval 4" x 9"- 2. 00" center/ 2. 00" center "reversible/bi-directional"
14" straight through deep tone performance Muffler, oval 4" x 9" - 2. 00" center/ 2. 00" center "reversible/ bi-directional". check product details below for other sizes. 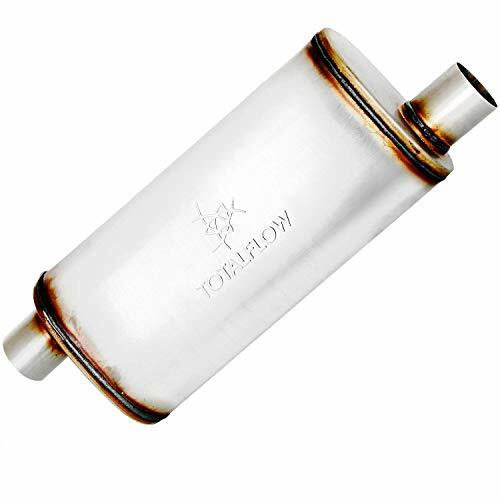 TOTALFLOW 343016 Premium Quality Single Chamber Universal Race Muffler - 3. 00" Offset in/3. 00" Center Out (Aluminized Steel/Red). Universal single chamber Race street Muffler 3. 00" Offset In / 3. 00" Center Out. CHECK PRODUCT DETAILS CHART BELOW FOR OTHER SIZES. 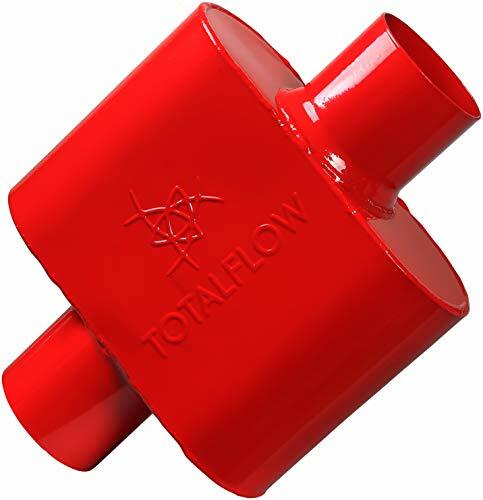 TOTALFLOW 342515-4 Premium Quality Single Chamber Universal Race Muffler - 2. 50" Dual in/2. 50" Dual Out (Aluminized Steel/Red). Universal single chamber Race street Muffler 2. 50" Dual In / 2. 50" Dual Out. CHECK PRODUCT DETAILS CHART BELOW FOR OTHER SIZES. 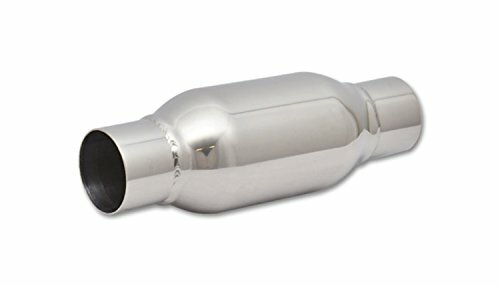 TOTALFLOW 33365 Straight Through Deep Tone Performance Muffler - 11" Body Length / 17" OAL - Oval 4" x 9"- 2.25" Offset / 2.25" Center"Reversible/Bi-Directional"
TOTALFLOW 33365 straight through deep tone performance muffler - 11" body length/ 17" OAL - oval 4" x 9"- 2.25" offset/ 2.25" center"reversible/bi-directional"
11" straight through deep tone performance Muffler, oval 4" x 9" - 2.25" offset/ 2.25" center "reversible/ bi-directional". check product details below for other sizes.